Presented with her signature powerful vocals, crisp acoustic guitar, and personal storytelling, this debut EP album features acoustic folk rock songs written over the last 15 years. After more than 15 years of writing and performing my original music around St. Louis and beyond, I am so proud to finally be releasing "I'm Ready...," my debut EP Album! Although music has always been an important element of my life, I had considered it just a hobby until early 2017. Now, I’m focused on finding my identity as an artist and on pursuing my career as a working musician. The title “I’m Ready…” is a nod to a lyric in one of my songs, “Let It Enter In,” and it signifies my state of mind as I leap into this exciting next stage of my life! I am immensely grateful to my talented sister, Sarah Ann Goodman of Sounds Good Studio in Chicago, IL, for recording, mixing, and producing this album. Who knows how much longer it might have taken me to debut this album without her valuable contribution. Thank you, sis! I'm excited for our next collaboration! To my dedicated and loyal fans... Thank you for believing in me. Thank you for coming to my shows, buying tickets, and encouraging me to pursue this path. I truly couldn't do this without you. To my amazing partner, Elizabeth... Thank you for sticking with me on this crazy ride. Thank you for providing inspiration for my songs. And thank you for seeing me for who I truly am. I love you with all my heart. The best is yet to be. "When does happiness begin, if you don't make time to let it enter in?" "All that I am missing is stuff I don't really need. I gotta count my blessings, like how you're here with me." This is one of my first original songs. I wrote this one after my heart was broken by a co-worker at TGIFriday's. :) I had a huge crush on her, and when I finally got up the guts to tell her how I felt, she stopped talking to me. Ahhh, 21-year-old unrequited love. "I'll take all the blame. If you wanna play that game, then I let you win. You don't have to let me in." I wrote this song for my best friend's wedding. She wanted a song that incorporated nature and playfulness, commitment and strength. I had the honor of performing it for Amanda and her awesome husband Justin at their beautiful sunset wedding in Estes Park, CO. Later, I got the chance to sing it again for a cousin's wedding in Missouri- another gorgeous outdoor wedding. A special shout-out to Amanda and her family for supporting my album and helping me get up to Chicago to record. Thanks, my homie! This song was written during a darker time in my life. I had recently closed my business- a gathering place and music venue called Lilly's Music & Social House- and I was recovering from a deep depression. I was strumming my guitar one day and I asked our little niece, Margaret, to make up a song. She was five years old at the time. She sang the phrase "Adios Amigo, I love you..." and added some lines about trees and the wind. She's quite the rainbow child. It was just the inspiration I needed to finish the song and work through some of my feelings about the losses we had recently experienced. This song is a farewell not only to Lilly's, but to the melancholy that had weighed me down since it's closing. "Now the trees begin to show what we all must come to know at last... The beauty of letting go." Kristen Goodman is a versatile singer, entertainer, and event producer who loves to connect communities and spread love through music. Originally from Fort Collins, CO, Kristen moved to St. Louis in 2001, where she began playing solo shows and band gigs throughout the city. She graduated with a degree in International Business & Marketing from the University of Missouri- St. Louis in 2009, and has spent most of her professional career working for small businesses and non-profits. She is the Co-Producer of LEZ DANCE, a recurring event designed for lesbians and queer women, the Co-Producer of The Big Gay* Soirée, an annual celebration and show during Pride weekend, and the Producer of Lucky 11 Dances, a bi-annual dance party for women. In 2015, Kristen opened Lilly's - Music & Social House, a restaurant and gathering place in Benton Park (St. Louis). The business was only open for a year, but Kristen is grateful for all of the valuable knowledge and amazing friends she gained during the experience. She currently leads a women's folk rock acoustic tribute band called "kg lang," she's part of a monthly sing-along duo called "Everyday People," and she's a member of "Ghost Light," an acoustic string trio that plays music from one of her all-time favorite genres- Musical Theatre! Kristen lives in Soulard (St. Louis) with her partner of 10 years, Elizabeth, and their two dogs, Frida and Saffron. 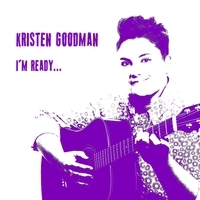 You can catch her at house concerts and shows around the St. Louis region, and connect with her on online at Facebook.com/KristenGoodmanSings, kristengoodman.com, or kristengoodmansings@gmail.com.